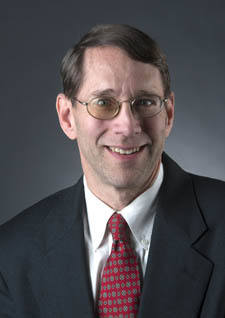 Professor Donald Keller, Ph.D., has been teaching at Point Park University for more than 15 years. Prior to Point Park, he was a computer engineer in the Department of Food Science and Technology at Virginia Polytechnic Institute and State University and an electrical engineer for Olver, Inc., both in Blacksburg, Va. Keller also served as a visiting assistant professor, instructor and teaching assistant in the Department of Electrical Engineering at Virginia Polytechnic Institute and State University. "Engineering science and engineering technology education for the modern workplace," (with Mark Farrell, Ph.D.), Pittsburgh Engineer, Spring 2007. "Who really invented television?" Engineers' Society of Western Pennsylvania, Pittsburgh, Pa., March 2005. "An Evaluation of the Hands-Free Capability of Audiovox Family Radio Service Transceivers", consulting report to Malkoff, Doyle & Finberg, P.C., Pittsburgh, Pa. June 2002. "Periodic functions and the discrete Fourier transform: a time-domain view," IEEE Transactions on Education, Feb. 1991. "Frequency-Domain Analysis of Memoryless Nonlinearities Having Large-Signal, Almost Periodic Excitations," Ph.D. dissertation, May 1988. "Calibration of Hewlett-Packard Network Analyzers: A Precision Viewpoint," (with William A. Davis), final contract report to NASA-Langley Research Center, Nov. 1987. "Engineering Technology Classes Prepared 2015 Graduate to Work With Nuclear Submarines," Point Park University website, Nov. 13, 2015. "Bachelor's Degree from Point Park Helps Alumna Advance Her Engineering Career," Point Park University website, April 29, 2015. "GAI Consultants Awards Internship to Electrical Engineering Technology Student," Point Park University website, July 30, 2014. "Electrical Engineering Technology Student Interns for Bayer Corporation," Point Park University website, Aug. 21, 2013. "Mechanical Engineering Technology Alum Lands His Dream Job Right After Graduation," Point Park University website, Nov. 1, 2012. "Degrees Help Alumnus Succeed in Engineering Career," Point Park University website, July 17, 2012. "Student Excels in Point Park's Electrical Engineering Technology Program," Point Park University website, June 15, 2011.